4750301 FDC20 Mitsubishi FDC20 Diesel Forklift. Spare Parts Catalog. Service (workshop) Manual. Operator's Instruction Manual. 4750302 FDC25 Mitsubishi FDC25 Diesel Forklift. Spare Parts Catalog. Service (workshop) Manual. Operator's Instruction Manual. 4750303 FDC30 Mitsubishi FDC30 Diesel Forklift. Spare Parts Catalog. Service (workshop) Manual. Operator's Instruction Manual. 4750304 FD15 Mitsubishi FD15FC Diesel Forklift. Spare Parts Catalog. Service (workshop) Manual. Operator's Instruction Manual. 4750305 FD18 Mitsubishi FD18FC Diesel Forklift. Spare Parts Catalog. Service (workshop) Manual. Operator's Instruction Manual. 4750306 FD20 Mitsubishi FD20 FC Diesel Forklift. Spare Parts Catalog. Service (workshop) Manual. Operator's Instruction Manual. 4750307 FD25 Mitsubishi FD25 FC Diesel Forklift. Spare Parts Catalog. Service (workshop) Manual. Operator's Instruction Manual. 4750308 FD30 Mitsubishi FD30 FC Diesel Forklift. Spare Parts Catalog. Service (workshop) Manual. Operator's Instruction Manual. 4750309 FD35 Mitsubishi FD35 Diesel Forklift. Spare Parts Catalog. Service (workshop) Manual. Operator's Instruction Manual. 4750310 FD40 Mitsubishi FD40 Diesel Forklift. Spare Parts Catalog. Service (workshop) Manual. Operator's Instruction Manual. 4750311 FD45 Mitsubishi FD45 Diesel Forklift. Spare Parts Catalog. Service (workshop) Manual. Operator's Instruction Manual. 4750312 FD50 Mitsubishi FD50 Diesel Forklift. Spare Parts Catalog. Service (workshop) Manual. Operator's Instruction Manual. 4750313 FD60 Mitsubishi FD60 Diesel Forklift. Spare Parts Catalog. Service (workshop) Manual. Operator's Instruction Manual. 4750314 FD70 Mitsubishi FD70 Diesel Forklift. Spare Parts Catalog. Service (workshop) Manual. Operator's Instruction Manual. 4750315 FD80 Mitsubishi FD80 Diesel Forklift. Spare Parts Catalog. Service (workshop) Manual. Operator's Instruction Manual. 4750316 FD90 Mitsubishi FD90 Diesel Forklift. Spare Parts Catalog. Service (workshop) Manual. Operator's Instruction Manual. 4750317 FD100 Mitsubishi FD100 Diesel Forklift. Spare Parts Catalog. Service (workshop) Manual. Operator's Instruction Manual. 4750318 FD115 Mitsubishi FD115 Diesel Forklift. Spare Parts Catalog. Service (workshop) Manual. Operator's Instruction Manual. 4750319 FD120 Mitsubishi FD120N Diesel Forklift. Spare Parts Catalog. Service (workshop) Manual. Operator's Instruction Manual. 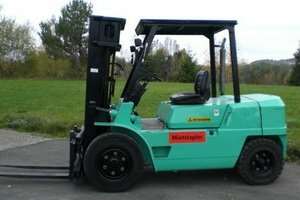 4750320 FD135 Mitsubishi FD135 Diesel Forklift. Spare Parts Catalog. Service (workshop) Manual. Operator's Instruction Manual. 4750321 FD150 Mitsubishi FD150A Diesel Forklift. Spare Parts Catalog. Service (workshop) Manual. Operator's Instruction Manual. 4750322 FD160 Mitsubishi FD160N Diesel Forklift. Spare Parts Catalog. Service (workshop) Manual. Operator's Instruction Manual.